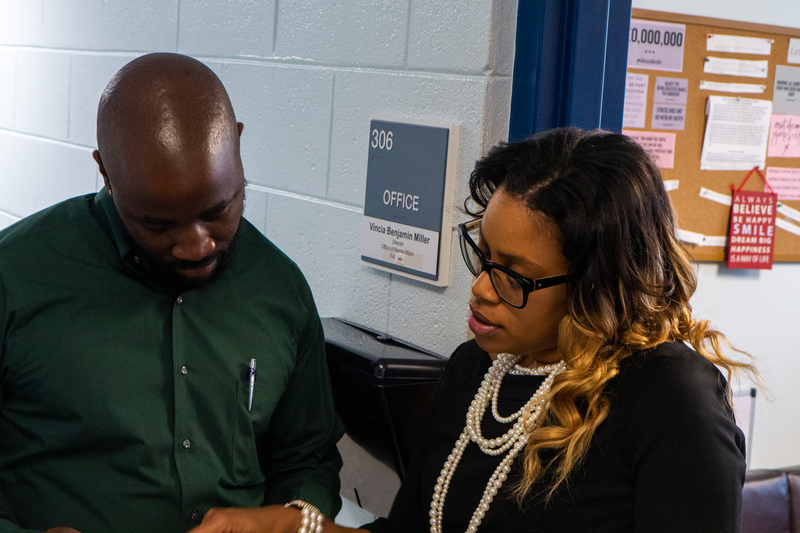 The Office of Alumni Affairs exists for the purpose of promoting comprehensive programs that advance the general interest and progression of Livingstone College and its alumni. 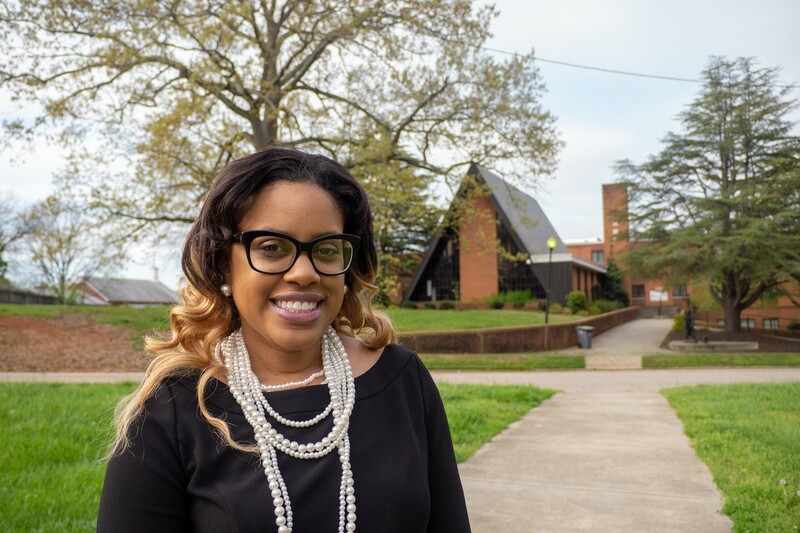 The director of Alumni Affairs serves as a liaison between the college and alumni, in an effort to establish stronger working relationships with alumni, the institution, and the surrounding communities. Livingstone College National Alumni Association membership is open to all graduates, former students, current student, parents and friends of Livingstone College. 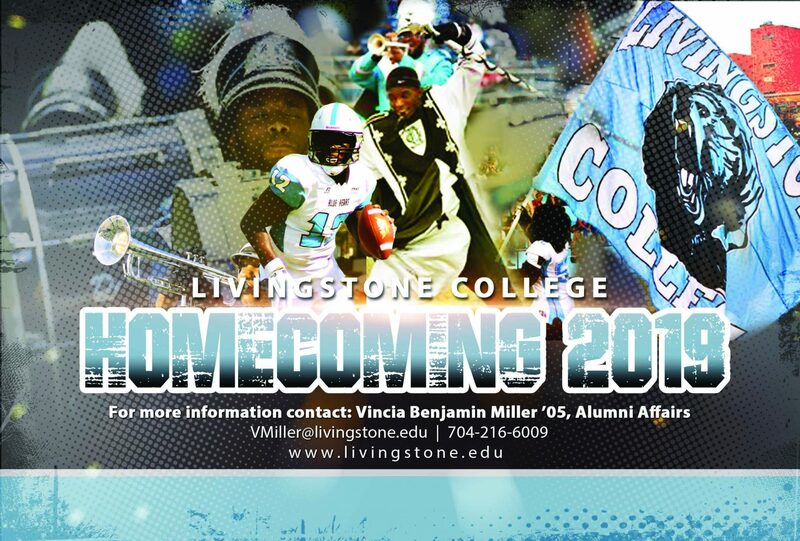 It exists to strengthen your bond with Livingstone College and with your fellow alumni. As a member of the Association, you can take great pride in knowing your dues support a wide array of scholarships, programs and services, including its online community. 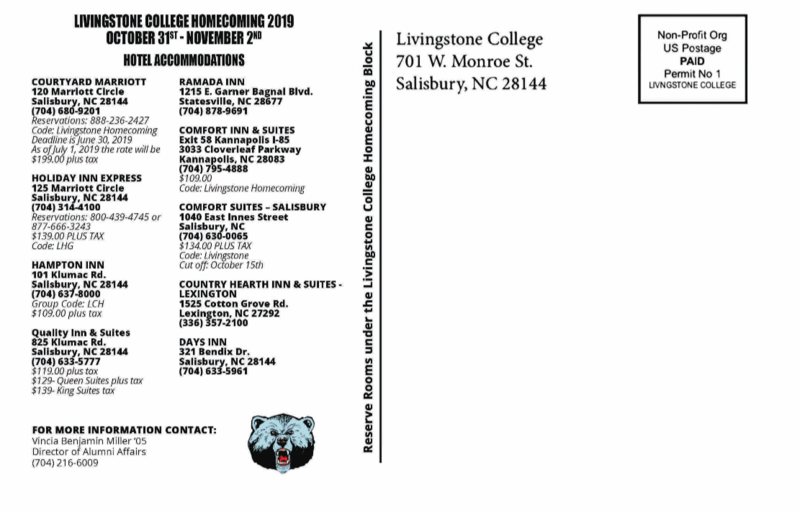 The mission of the Livingstone College Pre-Alumni Council (LCPAC) is to assist in raising funds for the annual UNCF campaign, volunteer in the Office of Alumni Affairs, aid in recruiting students and represent Livingstone College in a positive manner both on and off the campus. The purpose of the LCPAC to promote the interest and participation of students in the progress of the UNCF, to preserve loyalty and fellowship among the member institutions of the UNCF, faculty, staff, students and alumni. The Livingstone College Alumni Awards Programs was designed to recognize outstanding chapters and individual achievements in the areas of alumni affairs and community relations. These awards are an effort to recognize those members and chapters who bring honor, fame, and devoted services. Nominees are submitted to the Awards Committee Chairperson and selected at the annual mid-year meeting. The awards will be presented at Homecoming. Nominees are required to be financial members of the National Alumni Association for the immediate past three years. Nominees must also be financial members of a local chapter, where applicable. 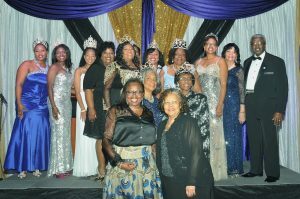 Alums or an alumni chapter can recommend nominees. Supporting materials such as articles, letters of recommendation, certificates, etc., must accompany nominations.